I, too, have no intention of giving up. I’m going to keep trying to break out of my shell, and I’m going to give it my all every single day. I feel that I need to keep putting more and more effort into learning about music. Because if it wasn’t for music, I would’ve never met the members of Morning Musume, Taiyou to Ciscomoon, or any of the other artists I ever produced. “Love Theory,” published in January of 2000, is the first book I ever wrote. Now, nearly a year since its initial release, it is happily receiving a paperback release. A year! Already! Time sure flies. I can feel how the older I get the faster time seems to pass, but more than that, I feel dizzy just thinking about how many changes have happened within Morning Musume and Taiyou to Ciscomoon in the span of this past year. Even when I was first writing this book, I was in a constant state of confusion as the editorial department kept notifying me of all these new developments that were happening as I was writing it. Just as I submitted my first draft, Ishiguro announced her retirement, Kominato was going to be withdrawing from her group for a time… I had to rewrite even my initial draft time and time again. However, that’s not to say that was due to Morning Musume or Taiyou to Ciscomoon being “unstable” or anything of the sort. It happened because those girls were put in such an intense environment where they were constantly growing at an alarming rate. They’re always shedding their skin, showing new sides of themselves. For my manuscript, I was simply writing about those girls in the moment as I thought about the appeal of women in a larger sense. That’s why when you read this book now, the image I paint of the girls might be quite different from what they are now. It might make for a rather nostalgic read for the fans who have been watching over those girls all this time. And now, for those of you who picked up this paperback edition of “Love Theory,” I’d like to talk a little bit about what happened since I first wrote it. 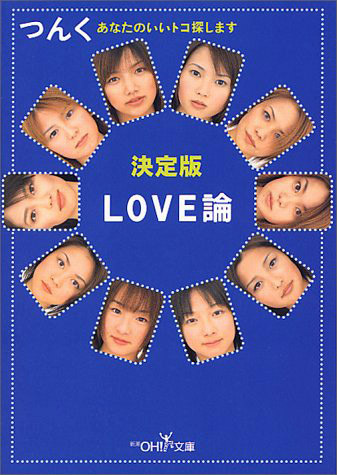 In this book, Taiyou to Ciscomoon Kominato‘s story ended with her having taken a temporary leave from the group. It ended on a note of: “What’s going to happen to Kominato Miwa?! Do your best, Kominato Miwa! … To be continued.” However, not long after the release of the book, Kominato returned to the group just as I had hoped. Rejoining the group, she had gained this sense of composure — it felt like she came back in a very relaxed state of mind, but in a good way. Inaba, Shinoda, and RuRu all changed in major ways, too, and it feels like the atmosphere within the group got so much better. The other members must have had a sense of anxiety and danger regarding the fate of the group, and so while Kominato was gone I could see their determination for doing their very best with Taiyou to Ciscomoon. When Kominato did come back, I’m sure it must have given the other three an opportunity to reflect as well. Prior to going through this tribulation, Taiyou to Ciscomoon were so energetic that the unit felt like the sun in its the highest position of the day. Doesn’t it now feel like they’ve cooled down a little? That is to say, the group as a whole has found a kind of calmness that one needs in order to be able to properly sing soul and dance music. To convey to everyone that it is now a new Taiyou to Ciscomoon, it just naturally happened that I renamed the group to T&C Bomber. Have you all gotten a taste of this new group, T&C Bomber, and noticed how bursting with flavor they are? When the promotional video for T&C Bomber’s “HEY! Mahiru no Shinkirou” was completed this past summer, I personally felt a strong sense of having done something that had been worth doing. “Yes! This is it!” It felt like seeing T&C Bomber actually take shape. The members, too, took this song on with no hesitation whatsoever, and it led to a great end result. 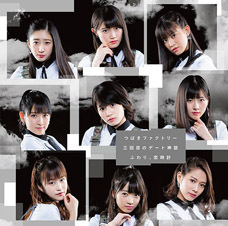 Morning Musume saw four new members — Tsuji Nozomi, Kago Ai, Ishikawa Rika, and Yoshizawa Hitomi — join the group. To begin with, Yoshizawa Hitomi may have first caught everyone’s eye purely with her looks alone. I, too, commented on TV how I thought her beauty was “genius.” But for me, I don’t just think that she has a cute, beautifully structured face. More than that, I can feel this great energy coming from that face of hers. Also, as the auditions progressed, I began to see more and more of Yoshizawa’s character. She has a rather peculiar sense of fashion, and sometimes she will make curious body movements. It’s that sense of “commonness” she has about her that made her so appealing for me — that, too, was part of it when I called her a “genius.” In other words, she essentially has this clumsy kind of cuteness about her, and more and more of it is becoming exposed in a natural way… and as it does, I’m sure it’s going to be giving male fans those butterflies in the stomach. Ishikawa Rika has a kind of prettiness about her that we hadn’t seen in Morning Musume before, and she has this unique, anime-like voice. The older ladies of Morning Musume have apparently been squeeing about her, saying strange things like “I want to marry her!” But her actual character is in fact very strong. For starters, she was the captain of her school’s soft tennis club — she was the one who would get everyone together in a ring and get everyone fired-up. This means she must have a strong core. Also, while there are many different types of cuteness, Ishikawa’s particular type of cuteness has something about it that comes across as “nostalgic.” Thus, I’m sure the people of my generation can’t get enough of her. I bet she’ll be a big hit around Asia in general. 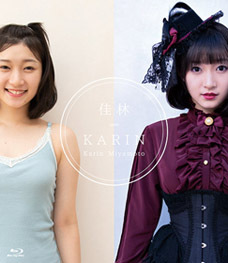 Everyone’s first reaction to Kago Ai may have been along the lines of “hey, they put a child in the group!” She’s 12 years old, she’s tiny, and she has an extremely young-looking face. She must’ve appeared very childlike to fans. However, that’s an age when girls are mentally more mature than boys, and Kago definitely has that sort of an “older sister” energy about her. Had Kago been my classmate in school, I’m sure she would’ve treated me like a complete child. And if Yoshizawa has something boyish about her, then Kago’s appeal is to be found in her girlish voice and the expressiveness of her singing which is as girly as it gets. It’s something she gets to show off in Tanpopo as well, and it’s that girly singing and expressiveness of hers which increases the girliness of the new Tanpopo as a whole. Tsuji Nozomi has a very affable personality, or rather, she demands constant attention. 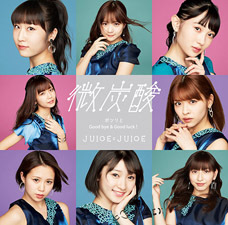 Previously, it was Goto who had been in the position of the “little sister” of the group until she suddenly became the “older sister” to these four new members. As the four continue to figure out their roles in the group, Tsuji remains the “youngest child” of Morning Musume for the time being. That is a very nice position for one to be in — you can get away with anything. It’s not a position, however, that one gets to assume simply because of their age. While the members and the fans have all agreed that Tsuji gets to have that position, I think that’s actually because of Tsuji’s own ability. And then there’s the fact that when Tsuji cries, she cries like a complete child. 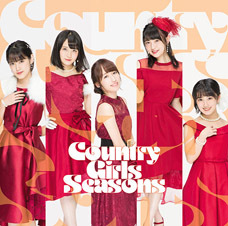 When the other members of Morning Musume cry, they do so without saying a word as the tears fall down their cheeks, or — in Goto’s case — they just sob. But when Tsuji cries, it’s a full-on wail. When someone’s crying in that way, it makes even someone like me stop and go, “Um, hey… Uhh…” It’s certainly my first time having to experience anything like it in my role as the producer. 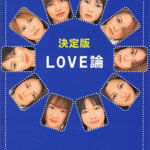 Next, one major event that happened within Morning Musume was the withdrawal of Ichii. Right around the time I first began writing this book, Ichii was beginning to change in major ways and receive a lot of attention from the general public. 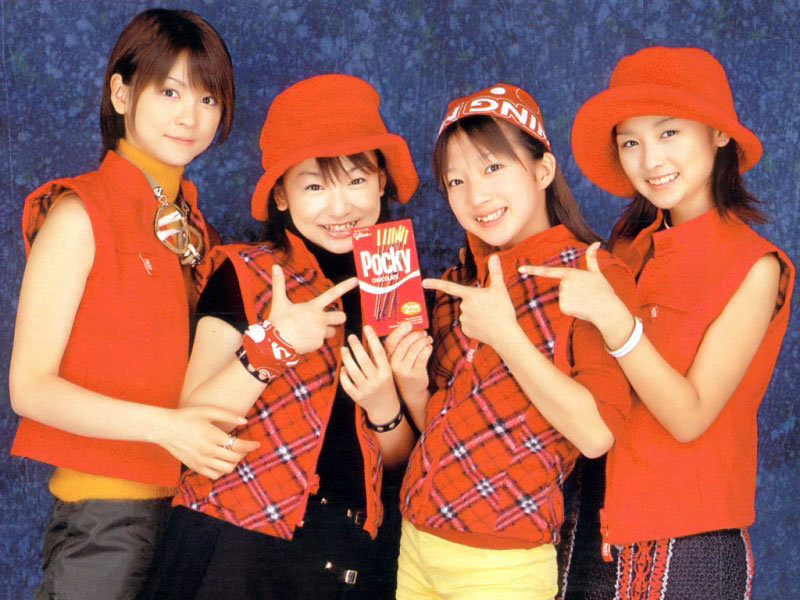 Pucchimoni, with Ichii in the center, was a huge hit right from the group’s very first single, too. Indeed: it happened just when everything was going great for her, and I’m sure there were a lot of fans who were thinking “why do you have to quit now? !” But just like how society’s interest towards her was growing, so was Ichii’s mind. Ichii was always a very cooperative girl: she would always try not to cause any trouble for the staff or the other members, even if it meant she had to pull back and stand aside at times. So for Ichii to be saying she wanted to quit, there was an understanding that she really meant it. And I can’t say I don’t understand how she felt. It’s around that high school age when you tend to get that feeling of, “I have to do this! I have to get up and do this right now!” It’s like someone seeing Japan’s rock scene on the TV and being struck by this feeling of, “I have to be a part of that! I have to get to Tokyo — I’ll quit school if that’s what it takes!” It must’ve been that sort of an irresistible urge. But of course, no one can tell in advance if it’s the right or wrong decision to just up and leave. It would be silly to even try to judge something like that when it hasn’t even happened yet. However, I believe that no matter what you choose in life, if you give it your all you can make it be the right decision for you. I for one really like people who believe in themselves and work hard at something. There’s just something about it that makes me want to cheer on people like that. 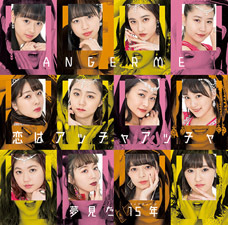 The old members of Morning Musume have gradually been showing some changes as well. Abe‘s presence as a singer has shot way up. This past summer, I got the opportunity of standing on stage together with Itsuki Hiroshi and Abe. It was the first time for me to be on-stage as an artist with someone I had produced myself. Throughout the performance, there was this powerful feeling of a professional singer’s energy eminating from Abe. As for Goto, despite her feeling so rattled about the idea of new members joining the group, when they actually did join she has been surprisingly okay about it — she’s become a proper big sister for them. But she doesn’t give them advice in a senpai-like manner at all, as in “here, do it like this.” Instead, she has this very city-like vibe about it… She just chats to them as if they were her friends, despite any age differences. It’s like this “hey brother!” vibe. Yasuda has managed to break through very nicely, and she’s developed a sense of responsibility as well. The days when she was asking concert audiences if she “looks gloomy” now seem almost nostalgic. She’s also become confident in her singing, so I would think she feels a sense of fulfillment at the moment. Now, she’s able to just earnestly do her best. It’s a really good time for her as a professional right now. Someone who may have undergone some very sudden changes is Nakazawa. I wrote in this book about how she has that “yankee power,” but now it’s like there are no traces of that yankee-ness left in her. She’s also understood singing on a much deeper level. While previously she would literally be learning the notes of a song and memorizing how the lyrics fit on top of it, now she learns the essence of the song and she’s become able to sing the songs in her own voice. 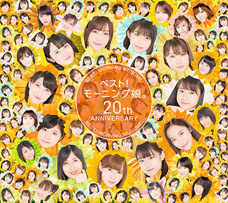 … It goes without saying, however, that in looking back on the past (little less than a) year, one source of energy that allowed the members of T&C Bomber and Morning Musume to grow so much was most definitely given to them by the fans. Because behind the continued hard work of all these girls has always been their sincere hope to have the fans enjoy themselves; to answer to the fans’ desire to support them. I can sense it. 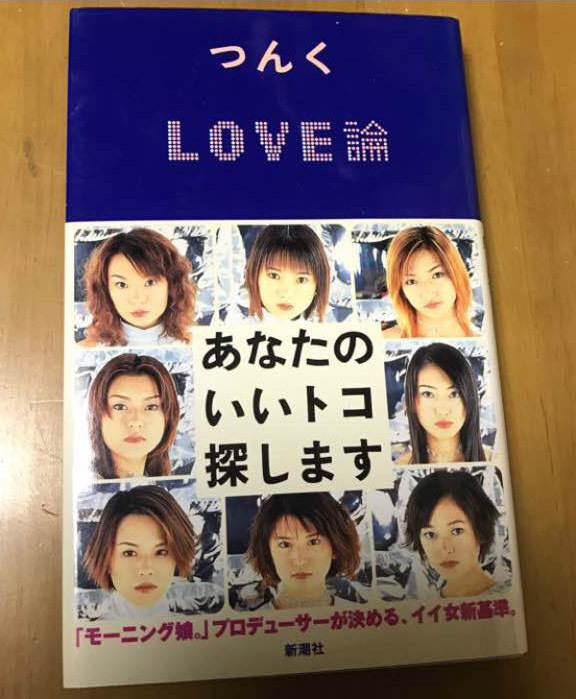 I’m also happy to report that “Love Theory” has been read by a huge number of people: since its release in January, 400 thousand people have picked it up at the bookstore and bought a copy. Thank you to everyone who read it! To tell you the truth, following the release of the book I’d be checking sales rankings in the newspapers for several months after. Some weeks, it was actually the highest-sold book of the entire week. It made me so happy to see that. When it comes to music, even when I’d managed to achieve good results I always made it a point to not look overly happy about it. I didn’t want to get restless, so I consciously avoided feeling too self-congratulatory about it. But writing books is by no means my expertise, and so being able to produce something that was both well-received and so different from my usual field… That’s something I’m able to feel honestly happy about. Moreover, the way the book became a hit was not by instantly blowing up and then fizzling out immediately after. It was a gradual hit. It was exactly like how when a song slowly becomes a hit through closed-circuit radio stations, from the bottom up. A hit like that isn’t something you can aim to create, so having produced a work like that is something that became an incredible source of confidence for me on a personal level. I received lots of feedback about the book from the people around me. Even several members from Morning Musume and T&C Bomber reported to me how they’d read it. Iida once introduced herself in concert as “the Angry Woman, also known as Iida Kaori!,” drawing excited cheers from the crowd. It made me feel glad in a strange way. Thank you! I also want to convey my gratitude to the readers who took the time to fill out and send us the reader’s feedback cards that came with the book. Reading all your messages, one after the other, made me increasingly glad to have written this book. Among the people to send me cards have been parents and teachers who have told me that they’ve used the book as a parenting or child raising guide. It’s been surprising to receive feedback like that. Having heard people’s differing reactions, I’ve come to realize that books are just like music: it simply projects back to you that which you’re seeking to get out of it. Prior to me writing this book, my thinking was that I wanted to write something that made for carefree reading. I wanted to write a book which, as you finished reading it, you’d feel like a student who had just finished doing their exams at the end of the first semester. “Alright! Bring on the summer vacation!” A feeling of expectation towards something unknown; something that is yet to come. That’s the kind of book I was trying to write. Those were my intentions upon the release of this book. The book has since then been read by a great number of people, and I’ve received lots of reactions and feedback from its readers. Now, with the release of this paperback edition, I feel like I’ve finally, truly finished writing “Love Theory.” In having finished writing it, I feel that I have in exchange received love from all of you, too. And now, as I finish writing this afterword, I feel like that student who — following those end-of-term exams — is walking out of the closing ceremony. In a way I was surprised to read that the first edition had sold so well. It is quite a lighthearted book after all. 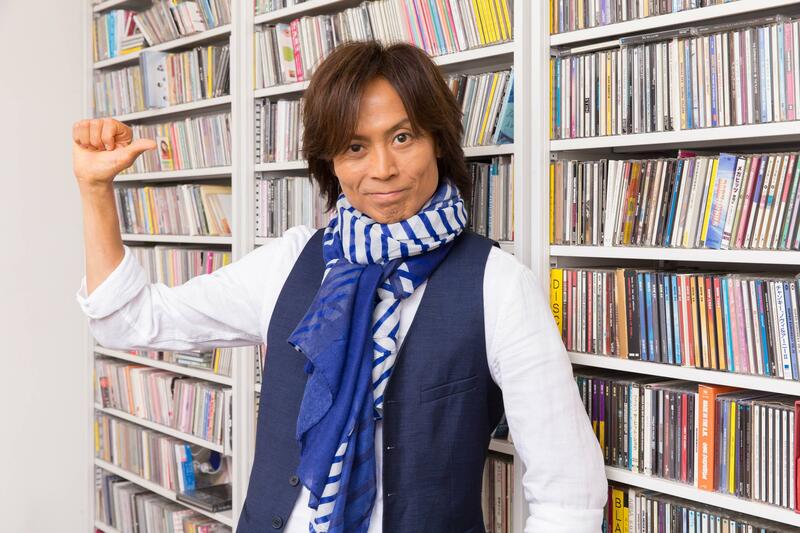 But I suppose that it just goes to show how much people liked MM and Tsunku.